Many years ago, the planet Krypton burned like a green star in the endless heavens. There, civilization was far advanced, and had brought forth a race of supermen ... men and women like ourselves, but advanced to the absolute peak of human perfection. But, one terrible day, the giant planet began to experience violent internal quakes, volcanic eruptions, and monstrous tidal waves. "Our sun is gradually drawing Krypton closer to it," warned scientist Jor-El, in the Hall of Wisdom in Krypton's great capital city. "Within a month -- possibly only a week, perhaps even in a matter of days or hours -- the gravitational pull will be so strong that Krypton will not be able to weather the strain. When that time comes, when we are drawn into the burning orbit of the sun, our planet will explode like a giant bubble! It will burst into a hundred million fragments, and every living thing on it will be destroyed!" This news immediately brought the members of Krypton's governing council to their feet in shocked amazement at the young scientist's words. Not long after, in another metropolitan center of Krypton not far away called Argo City, another scientist, Zor-El, was sitting in a large control room that was attached to the back of his private home. He was busy monitoring a number of panels and instruments in front of him. As he did so, a tall blonde woman of striking beauty came into the room. Her name was Alura, and she was wearing a uniform similar to Zor-El's. She had been working as an assistant to the scientist for some months. She sat down at the panel next to Zor-El, and began to monitor the instruments there as well. "Do the sensors show the structural integrity of the dome holding steady?" Zor-El asked Alura, without looking up. "Yes," she replied. "Readings stable. Wind velocity, 6. Air temperature, 72. Humidity, 50%." "Good," Zor-El said. He wiped his brow as he pushed his chair away from the console in front of him. He was obviously tired, and the weariness showed on his face. Alura got up from her console and went over to Zor-El. She began to rub the back of his neck and shoulders. "You've been working too hard lately, Zor-El," she admonished him. "You need to take some time off. Can't you get someone else to monitor the weather dome for a few days?" Zor-El turned around and was about to answer her when the floor suddenly began to shake. He tried to stand up, but he was thrown back into his chair. Alura staggered, trying desperately to stay upright. She finally fell to the floor. At the same time, a large crack appeared on one end of a large beam that formed part of the lab's ceiling. The beam began to separate from the rest of the roof. Then it suddenly broke loose completely. Alura was lying right underneath it. Zor-El immediately launched himself out of his chair and positioned himself over Alura, his legs straddling her. He bent over, allowing the huge beam to fall directly onto his back and shoulders. It cracked in two, and both pieces fell to the floor on either side of Alura's prone figure. Zor-El helped Alura up off the floor. He was completely unhurt, thanks to the superhuman strength that all Kryptonians possessed. When Alura straightened up she threw her arms around him. They both held each other as the floor continued to shake. "Zor-El, what was it?" Alura asked. "I don't know," the scientist replied. "We've had a number of quakes the past few days, but that one was the worst yet. I'm beginning to wonder if those stories my friend Jor-El has been telling the Kryptonian High Council lately might be true." He let Alura go and rushed back over to his instrument panel. He checked various readouts on it. "Is the dome all right?" Alura asked him. "Yes," Zor-El replied with a sigh of relief. "Fortunately, we built this thing to last." 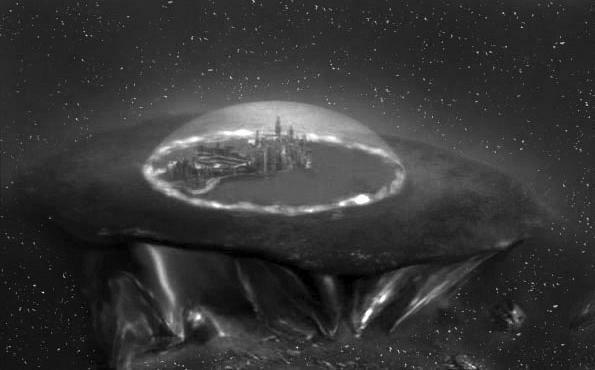 The gigantic dome that covered most of Argo City had been designed by Zor-El, one of Krypton's greatest scientists, and it was meant to make it much easier to precisely control all climate and weather conditions inside it. It could also double as a defense shield in case of attack. (Though no wars had been fought on Krypton for centuries, there was always the possibility of an invasion by aliens from some other planet.) The dome was made of a new kind of metal/plastic/glass alloy that Zor-El had recently discovered, and it was now going through the final testing phase of its construction. If it proved to be completely successful, then other Kryptonian cities would probably end up building them over their population centers. "Most of Argo City is located directly on top of a large slab of rock made out of Kryptonium, the hardest substance known," Zor-El continued. "I don't understand what could be making the ground shake like this." Alura shook her head. She didn't know either. She was not a geology expert, but she had a bad feeling about the strange quakes and tidal waves that had been manifesting themselves on Krypton for the past few weeks. It was later that same day when Zor-El and Alura were still working together in the weather dome control center when the ground began to shake again. But this time it did not stop. There was a sound like thunder, and Alura thought to herself that this must be what the end of the world would be like. She had just enough time to go to Zor-El and put her arms around him when a sound like all the cannons in the universe going off at once assaulted her ears, and the ground lurched in a violent upheaval, throwing them both forcefully to the floor. They were both knocked unconscious, and then they knew no more. Zor-El was the first to struggle his way back to consciousness. He pulled himself up into a sitting position. As he did so he noticed that he felt extremely light -- like he weighed almost nothing. He felt like he could almost float up off the floor if he made half an effort to. It was then that he realized that Alura was lying on the floor next to him. Quickly he bent and checked her over. She seemed to be all right, but she hadn't regained consciousness yet. He sat up again. Something wasn't right. It was now much darker than when he had lost consciousness. Had he been out that long? Something else had changed too, and at first he couldn't quite put his finger on it. Then he realized it was the quiet. There were no sounds from outside; only the low hum of the dome equipment. He could hear no air cars flitting by, no people talking, no bird sounds. Nothing. He jumped up off the floor, but had to check himself to keep from flying upward toward the ceiling. It was almost an effort to keep his feet on the ground. Carefully he went over to one of the windows of his lab and looked out. There did not appear to be any people moving about, and almost all of the lights in the city were out -- except for some red-tinted lights that were designed to come on when the general power had failed. Not only that -- the sky outside the dome was completely black. He turned and strode over to a cabinet sitting against one wall of the control center. Out of this he pulled a portable night-telescope viewer. He went back to the window and raised the viewer to his eyes. He scanned the city. There was relatively minor damage almost everywhere, though the buildings themselves still seemed to be intact. There were also unconscious people lying everywhere. Then he trained the glasses toward the edge of town where the rim of the dome was. What he saw there made his blood run cold. At that moment Alura came up to him. She put her hand on his shoulder and peered out of the window too. Her face reflected the same shock and bewilderment. "Zor-El, what happened?" she asked him, her voice almost a whisper. Zor-El lowered the glasses and looked at her. "I'm not sure," he replied, not wanting to scare her. But he knew. He knew the awful truth. Slowly the lights about the city started to pop on as the city's backup systems came into play. The people of Argo City slowly began to come back to life too. They started getting up, but then they began wandering about like lost souls, trying to comprehend what had just happened. Alura took the glasses from Zor-El and used them to look around the city. What she saw when she focused them on the outer edges of the weather dome made her gasp in fright and disbelief. She almost dropped the glasses to the floor. The ground ended just beyond the dome. Beyond that there was nothing -- just the complete and utter blackness of space. Slowly she put the glasses down and stared at Zor-El. "No, your eyes are not deceiving you," he told her slowly. "We apparently are in outer space. Somehow, Argo City has been blown off the surface of Krypton into space. The only reason we are still alive is because the dome has trapped our air within itself, and its climate control systems are still maintaining livable weather conditions." "But what sent us into outer space to begin with?" "There is only one thing that could do this -- Jor-El was right. Our planet has literally blown apart underneath us." Alura shook her head back and forth as if she could not believe this. Zor-El went over to one of the computer terminals in the room and punched in some questions. He waited momentarily for the answer. "All data indicates," the readout of the computer came back, "that gas exploding in subterranean pockets of Krypton as a consequence of the planet being drawn closer to the sun by various gravitational anomalies has resulted in Krypton blowing up." Alura saw the readout. "Oh my God," was all she could say. Zor-El went over to her and took her in his arms. After a moment, when it appeared as if she was handling the situation all right (as well as any sane person could handle such a situation, Zor-El thought), he pushed her away. "I've got to get to the City Center and help to get all our utilities back online," he told her. He started to leave the room when Alura took him by the arm. "Zor-El -- can we survive this?" she asked bluntly. "Yes," Zor-El replied. "I think so. If the chunk of Kryptonium underneath us is still solid, and the dome holds up -- then yes, I think we can. But it will take work. And a great deal of adaptability." "I'll go with you," Alura said. Zor-El looked quizzically at her. "To help the injured," she explained. Zor-El nodded. They both left the lab together. The next few months were hard ones for the residents of Argo City. Although Argo City had fallen into approximately the same orbit around their sun that Krypton had occupied (which gave the residents of the city the same amount of heat and light that Krypton had experienced), there was much work to be done to repair all the damage caused by the city being violently thrust into space. Fortunately, the weather dome held strong, and with most utilities and manufacturing centers remaining intact the day-to-day needs of the residents were practically assured for the near future. Most large cities on Krypton had long ago been designed to be relatively self-sustaining, and Argo City was no exception. This, and the weather dome, contributed to its ability to continue to survive, despite its physical separation from its home planet. The main difference in the lives of the people inside the dome was the fact that there was not much in the way of gravity on their newly-created island in space. The residents, who had been supermen and women to begin with, now found that they could easily leap an eighth of a mile or more with almost no effort. This made it quite easy to traverse the city, even without using their hover cars. Time passed. When life in the city had returned to some level of stability (as much stability as was possible considering their extraordinary circumstances), Zor-El and Alura were married. Shortly thereafter, Zor-El began to work on a design for a spaceship which he speculated might eventually be used to carry the residents of Argo City to another world. He based his design on some notes that his friend and fellow council member Jor-El had given him some time back. In addition, he spent much of his time studying other planets, hoping to find a suitable one that they could eventually migrate to. During this period, Zor-El and Alura managed to find time to become the parents of a baby girl, who had the same blonde hair and beautiful features of her mother. They named the child Kara. More time passed, and Kara grew into a beautiful young woman in her late teens. One day, as Zor-El studied the viewscreen on the space telescope in his laboratory, he turned to Alura. "This planet seems to fit all the criteria we're looking for," he said. "What is it called?" Alura asked, stopping what she was doing and coming over to look at the telescope screen. "The residents of it call it Earth. It's quite a bit smaller than Krypton was, but it has the same basic features and the same atmospheric mixture as our home planet." Alura studied the image on the viewer. There was also a data readout of current political and social conditions concerning Earth on the bottom of the viewscreen, based on various monitored news, radio, and television broadcasts. "But Zor-El -- look how socially primitive that planet is!" she said, after reading the scroll. "Why, crime, war and political strife are still extremely common there! We haven't had those problems on Krypton for hundreds of years!" "That's true," Zor-El acknowledged. "But the various conditions on that planet would also enhance our metabolisms to the point where we would be far more physically powerful than we are now. This would be a considerable help in our being able to resist any aggression that might be directed against us by the native population." "Perhaps. But I still don't think I'd like living there." Zor-El grunted. So far he had not been able to locate any other planet within a reasonable striking distance that had the suitable living conditions that Kryptonians could survive under. "Wait -- what is that?" Alura suddenly exclaimed. The image on the viewer showed a brightly costumed, caped figure flying rapidly above the skyscrapers of a major city. "It's a flying man!" Zor-El announced. Entranced, they both watched the viewscreen as the flying man rocketed high into Earth's upper atmosphere. "What is he trying to do?" Alura asked. "Look -- that nearby asteroid. It must be threatening the Earth." "But what could one man do to stop it?" Zor-El shook his head, indicating that he did not know. They watched as the caped man flew directly toward the errant asteroid. The man landed on it, then set a small box in place on its surface. Then he launched himself back into space. Shortly thereafter a huge explosion shattered the asteroid into small pieces. "Amazing!" Zor-El exclaimed. "That man has physical abilities even superior to our own! And look at his clothing -- it is remarkably similar to ours! From what I can tell, no other inhabitant of Earth appears to have that kind of physical power. And no one else wears that kind of clothing, either." 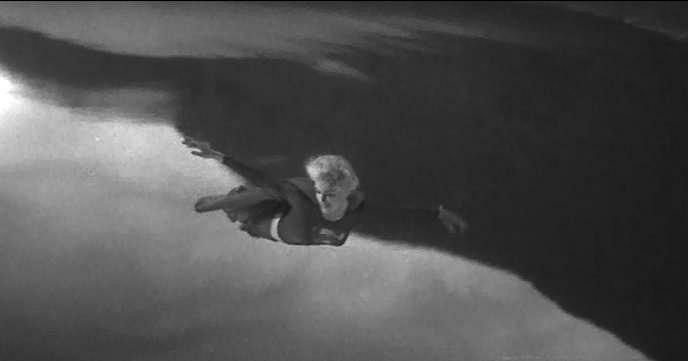 As the man flew back to Earth, Zor-El focused the viewer into a close-up of the man's face. "Why -- he looks just like Jor-El!" he exclaimed. Just then, Kara came into the lab. She stood behind her father and mother, curious as to what they were looking at. "Could it be?" Zor-El continued, turning to Alura. "Jor-El had mentioned possibly trying to evacuate his family to another planet if his predictions about Krypton's destruction were to come true. Are we then looking at Jor-El's grown-up son, whom Jor-El actually succeeded in sending to another planet before Krypton blew up?" "Very possibly!" Alura said. "He would be about the same age as this man, if he had in fact survived!" Kara watched the heroic figure on the viewscreen zoom through the air. She found herself transfixed by the powerfully built, handsome man. It was only a few months later that Zor-El's master computer gave him some distressing news. After reading it, he called Alura to his side. "According to the computer, a huge meteor shower is headed directly for Argo City," he told her somberly. "Some of the meteors are large enough to almost certainly succeed in punching holes in our weather dome." Alura looked at her husband. "Does this mean ... ?" she began. Zor-El completed the sentence that she could not finish: "Yes ... Argo City is doomed. 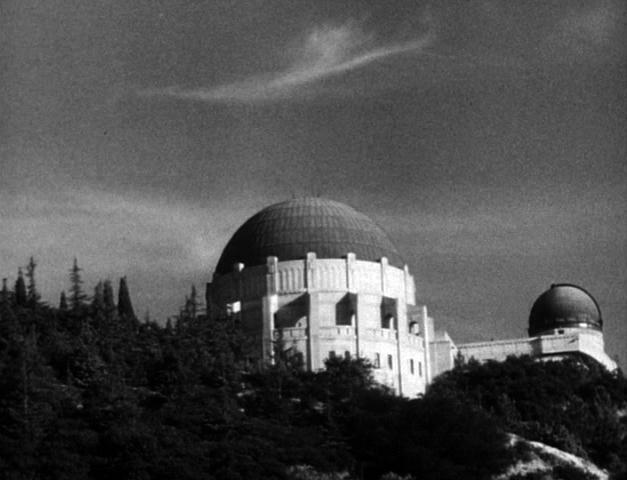 Once the dome is compromised, we will not be able to maintain our atmosphere." "How ... how long do we have?" "Not long. No more than a day, at most." Alura struggled to take this news in. It was ironic that they had all come this far, only to end up perishing now. "Is there nothing we can do?" she asked. "Yes -- there is one thing," Zor-El replied. "The model rocket I have been working on is completed. But it can only accommodate a single passenger. Very possibly I could send that passenger to Earth." "Then ... that passenger should be our daughter!" Alura said. Kara, standing in the doorway of the lab, had overheard their conversation. She rushed into the room and threw her arms about her mother's shoulders. "No, mother!" she cried, tears rolling down her cheeks. "I can't leave without you and Dad!" Alura stroked Kara's long blonde hair. "Daughter, you must," Alura told her. "We cannot let the Kryptonian race die out. You are its only hope to live on." "Besides," Zor-El added, putting his hands tenderly on Kara's shoulders, "You will not be alone. On Earth you will have Jor-El's son as a companion. He will surely welcome you as one of his own. Together you can continue to keep Krypton's legacy alive, so that the great civilization we have built will never be forgotten." Unknown to Zor-El or Alura, for weeks Kara had been sneaking into the lab during sleep period in order to use the space telescope to watch the exploits of the man Earth people called Superman. She had become utterly fascinated by him -- so much so that she had convinced her mother to make her an outfit that resembled his. The only difference was that Kara's outfit had a short blue skirt instead of Superman's red trunks. By using the telescope she had also been able to quickly pick up a basic understanding of the English language. "You must be ready within the next few time cycles to leave at a moment's notice," Zor-El continued. "I will prepare the rocket for launch. When the weather dome is penetrated by the first meteor, I will have to immediately fire the rocket through that hole so that you can escape before our atmosphere dissipates." Kara knew that her father was right. She could not let the Kryptonian race completely die out. 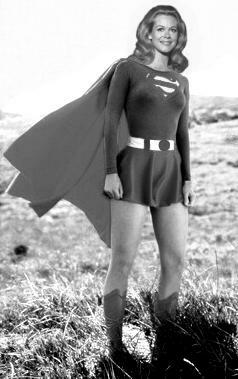 Besides Kal-El on Earth, she was Krypton's last hope. "Should we tell the people of Argo City what is coming?" Alura asked. Zor-El shook his head. "There is nothing they can do to prepare. Better to let them live their final few moments not knowing that their end is near." The time for Kara to depart was quick in coming. 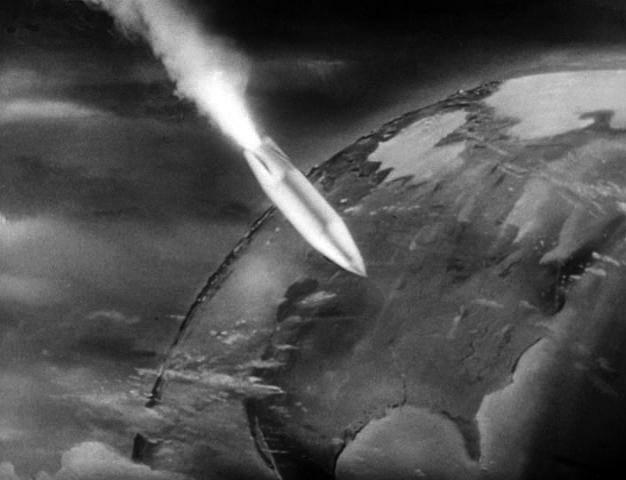 The computer had estimated the approximate time that the meteor shower would reach Argo City, and Zor-El quickly made the escape rocket ready. 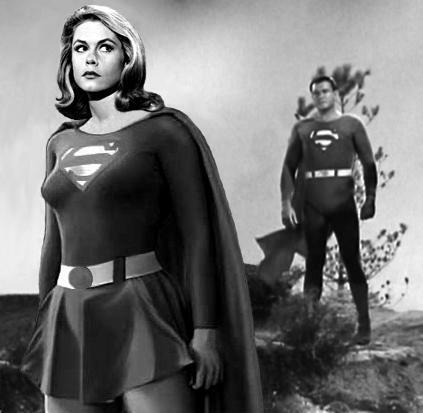 Alura suggested that Kara wear her Superman outfit, so that Kal-El would immediately recognize her as a fellow native of Krypton. After farewell hugs, Kara tearfully climbed into the rocket. Zor-El set the controls for launch. the smaller projectiles on the outer edge of the shower bounced off the weather dome. But then one particularly huge meteor (ironically about the same size as the asteroid that had previously menaced the Earth, and had been destroyed by Superman) crashed through the shield. Zor-El quickly aimed the rocket's launch platform for the hole, and hit the launch button. As Argo City's air escaped out into space, it was followed closely by Kara's rocket. Zor-El and Alura had time for one final embrace. Then they knew no more. Clark Kent was walking down a Daily Planet hallway toward his office reading a galley sheet when he suddenly stopped. He winced, instinctively bringing his hands up to his ears. Some kind of incredibly strong ultrasonic sound was assaulting his ears -- so much so that it was causing him pain, a sensation he did not feel very often. Just then Jimmy Olsen came around the corner and almost bumped into Kent. He immediately noticed that the reporter was in some kind of distress. "Are you okay, Mr. Kent?" Olsen asked. After a moment the sound -- which was apparently too high-pitched to be audible to Jimmy -- ceased. Quickly recovering himself, Kent addressed the cub reporter. "It's okay, Jimmy -- I just have a slight headache," Kent said. "I'll be all right." After Jimmy had walked away, Kent continued down the hallway and entered his office. He closed the door, put the galley sheet he had been reading on his desk, and sat down. What kind of sound could possibly have caused him such distress? He had never experienced such a sensation before. As he wondered about this he turned on the police scanner he had on his desk, something he almost always did after entering his office. Almost immediately there was an interruption in the usual police chatter. A voice that sounded scratchy and far away suddenly intoned: "This is Civil Defense, with an emergency bulletin for all local military and civilian aviation channels," it said. "Military radar has detected an unidentified flying object entering Metropolis airspace about 12 miles south southwest of the city," the Civil Defense report continued. "Military jets from Metropolis Airbase have already taken steps to find and intercept this object. All civilian and commercial aircraft are warned to avoid this area until further notice." It took only seconds for Kent to shed his outer garments. Moments later Superman had launched himself out of Kent's office window. 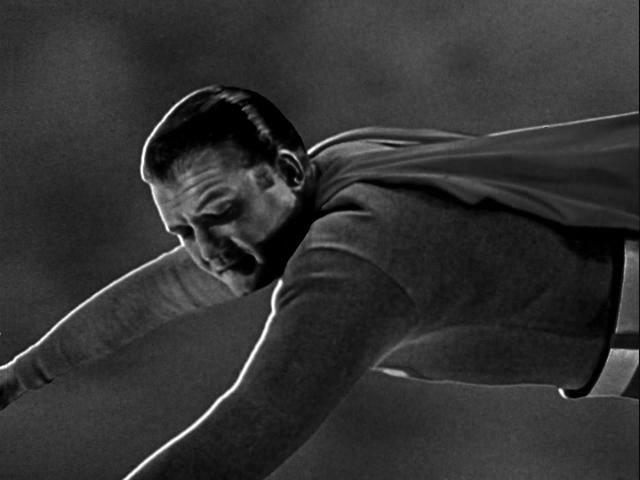 Superman headed toward the area where the flying object had been detected on radar. Due to his speed he reached the spot before the jets did. He spotted the object on the ground, as it had apparently just crashed to earth. It was a rocket about 10 to 15 feet in length, and its nose was buried in the ground where it had impacted. There was a cloud of smoke billowing up around it, and flames were just beginning to spurt up from where the nose was buried. It crossed Superman's mind that the rocket could be a Russian weapon that had malfunctioned and crashed. He landed a few feet away from the missile, and quickly used his x-ray vision to peer inside the object. What he saw made his eyes open wide in surprise. Just then the hatch of the ship flew outward and landed with a thump on the ground. As Superman watched in amazement, a beautiful young girl dressed in an imitation Superman costume stepped out of the rocket. Though somewhat taken aback, the Man of Steel took the girl by the arm and assisted her in straightening up. "Are you all right?" he asked her. "Yes," Kara replied. "I'm fine." It was true. Superman noticed that, not only was the girl completely unharmed by the crash, but her costume was undamaged as well. "Who are you?" Superman finally asked. "Why are you dressed like me?" Kara looked admiringly at him. Then she offered her hand to him. "My name is Kara Zor-El," she told him. " I know this is going to be hard for you to believe, but I am from the same planet that you originally came from – Krypton." The next moment the roar of military jets could be heard overhead, rapidly approaching their location. Superman looked up. "Well, whoever you are, you're going to be very difficult to explain to the United States military right now," he said. "Perhaps we'd better get out of here. We can talk this out somewhere else, in private." Superman made as if to scoop Kara up into his arms in order to carry her away, but Kara instead motioned him not to. Puzzled, Superman watched as Kara looked down at the ground in front of her. Then, hesitantly at first, she took a few running steps forward. Then she leaped up off the ground and launched herself up into the air. Superman gazed up after her, astounded. But the increasing roar of the jets rapidly brought him back to reality. Recovering himself, he ran and leaped up into the air as well. Kara was flying! She felt a wondrous thrill as she arrowed through the air, her hair and cape blowing wildly in the wind. She had never felt so incredibly free before. Even the weak gravity of Argo City had not given her an experience anything like this. A moment later, Superman came soaring up beside her. The pair easily outdistanced the military jets, leaving them far behind. When Superman was able to get Kara's attention, he motioned for her to descend toward a nearby mountain peak. Saddened to have to cut her maiden flight off so soon, Kara nevertheless followed Superman downward. They both landed near the top of Mount Blue Peak, the tallest of a chain of mountains that bordered Metropolis on its northern side. Superman led Kara over to a small rustic cabin that sat nestled in-between the trees. They went inside, and Superman explained that he had bought the small cabin some years before for when he needed to occasionally get away from it all for a while. Its location was quite isolated; only one narrow dirt road led down the mountain from it, and the next property owner was some miles away. Even mail delivery to the cabin, what there was of it, was usually done by helicopter. Kara walked around the cabin's interior, examining almost everything in it as if it was something that she was seeing for the very first time. She went over to the window and pulled the curtains apart. She looked outside, fascinated by the trees and the wild natural landscape. "So, Miss -- did you say you were from the planet Krypton?" Superman asked. "Yes," she replied. "Or, rather, my parents were." She began to explain how the giant planet Krypton had exploded some years before due to internal stresses, and how Argo City had miraculously survived by being flung out into space on a large chunk of the planet. "You say your father was a scientist named Zor-El, who was a member of the governing council of Krypton?" Superman asked. Kara sat down on a sofa that sat next to a low coffee table in the middle of the room. "Yes," she said. "And Jor-El was also a member of the council. It was he who tried to warn the others that Krypton was in imminent danger of exploding. But they wouldn't listen. Jor-El was your father." "My father ..." Superman repeated. He had never known the name of his biological father before. "Yes. You look remarkably like him." "And ... who was my mother?" Superman asked. "Lara," Kara told him. "My father described her as a beautiful, extremely intelligent woman. Your Kryptonian name was Kal-El." Superman stood silently for a few moments, trying to drink this information in. "Tell me about Krypton," he finally asked. Kara then began to tell him about the amazing world of his birth: the peaceful, highly advanced civilization that centuries before had left war, crime, and other social and political ills behind. 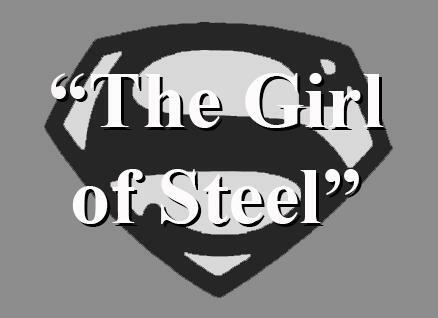 She also described her life in Argo City, drifting through space after Krypton's destruction. Superman hung on every word, fascinated to finally learn about where he came from. At one point Kara suddenly stopped. Tears began to well up in her eyes. "What is it?" Superman asked her. "My parents. By now they must both be gone …"
Unable to continue, she brought her hand up to her mouth and started to sob. Superman went over and sat down next to Kara. He put his arm around her in an attempt to comfort her. He realized that the loss of his biological parents was a long time in the past; for her it was still a very recent event. She buried her face in his chest and cried for some time. It was now evening, and Kara sat on the front stoop of the cabin, gazing sadly up at the stars. Superman came out of the cabin with a hot mug of tea in his hand, which he offered to her. She took the mug, smiling up at him. He sat down next to her. They sat together in silence for a long time. "Kara," Superman finally said, "we have to talk about where you're going to live." "Couldn't I ... stay with you?" Kara replied. Superman smiled. "I'm afraid that wouldn't look very good," he replied. "In my identity as Clark Kent I'm a bachelor, and I live in a small apartment." "I know. I watched you change your identity a number of times on the space telescope." "Well then, you know how hard it would be to explain you to my friends." "Could I perhaps stay here?" she said, nodding toward the cabin. "Possibly," Superman replied. "But I don't think you want to be completely alone up here, do you? And you need someone to help you to adjust to life here on Earth. There's so much here that you're unfamiliar with." "I was hoping that you would help me to do that." "Oh, I will. But you'll need more than just me. We have to come up with another identity for you here too. You can't just parade around in that costume all the time." "Do you have any suggestions?" "As a matter of fact, I have. My, er, foster mother here on Earth is still living. I think it might work if you went to stay with her for a while. She lives in a small town that I think would be a perfect place to help you adjust to life on Earth." "All right. If you think that's best." "I do. I'll take you over to her in the morning." Superman patted her on the hand. She managed a weak smile back. Kara knew that life was going to be very different from now on. The next morning Superman took Kara to the Kent farm, and introduced her to his mother, Sarah. Though utterly astounded to see the young woman, Sarah nevertheless hugged the girl and warmly welcomed her. "Land Sakes, son!" Sarah exclaimed. "All these years I thought you were the only one like you!" She was even more amazed when Superman explained where Kara was from. "Of course, mother, this also finally answers the question of where I originally came from, too," he added. Sarah nodded. "Son, I never told you when you were growing up, because I didn't want you to feel any more different than you already did -- but I had a sneaking suspicion that you were not from this Earth. No one from this planet could do the things you were always able to do. I just wish Eben were still here to hear all this. He always wondered where you had come from too. 'Course, in the end it didn't make no difference. We both always accepted you as being our son right from the beginning, no matter where you were from." "I know you did," Superman replied. "So, it'll be all right for Kara to stay with you for a while?" "Of course!" Sarah said. 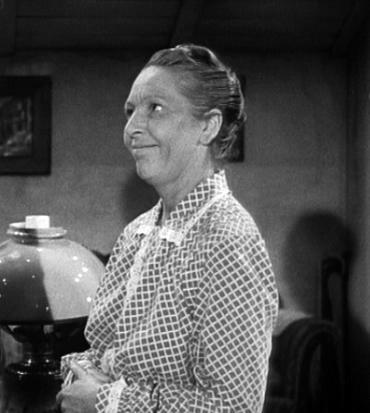 "Cousin Edith isn't staying with me anymore, and Kara will be good company for me. I'm sure we'll get along just fine together!" "Do you think you could come up with some clothes to fit her?" Superman asked. "Why, sure! I could sew up some things for her -- and what I don't have I could go into town and get for her. Won't be no problem!" That settled, the three of them sat down and had breakfast together. Then Superman indicated that it was time for him to leave. "I have to get back to my job," he explained to Kara. "But don't worry -- I'll be back to see you very soon." He hugged Kara and his mother, and then flew off. Though she had immediately liked Sarah, suddenly Kara felt very alone again. “My, don’t you look lovely!” Sarah crooned. Kara stood in front of a full-length mirror in Sarah’s bedroom. She was now wearing a pretty white blouse, a dark skirt, and flat-heeled shoes that Sarah had bought for her in town. “Oh – there’s one more item I wanted to try on you,” Sarah suddenly remembered. She went over to her closet and rummaged around in it a bit, before finally coming out with a medium-sized round box. "Here, dear, try this on," she said as she put the box on her bed and opened it. "I wore this for a while when my hair first started going gray -- but that was before I finally decided to act my age!" Sarah pulled out a brunette wig from the box. She went over to Kara and placed it over the girl's blonde hair. "But why do I need to cover up my natural hair?" Kara questioned. "You have goldenhairs here on Earth, don't you?" "Of course!" Sarah replied. "But, in the event that you may one day want to use your super powers openly to help people, like Clark does, then you'll need to have a different look for your everyday identity, so people won't know that you're the same person. It's the only way you'll ever be able to get any privacy." Kara adjusted the wig on her head. It actually did help to make her look almost like an entirely different person. She turned to Sarah. "My, don't you look just fine!" Sarah complimented. "Sarah, why does Kal-El -- er, I mean, Clark -- do what he does as Superman?" Kara asked. Sarah sat down on the edge of her bed. "Because we -- Eben and me -- took great pains to teach him from a very early age that helping other people that needs it gives one of the greatest satisfactions in life," she explained. "We knew early on that he could be a powerful force for good in the world with those powers of his, so we were careful to give him a very strong sense of justice and fair play growing up, so that instead of using his powers for personal gain he would be sure to use them to try to right some of the wrongs in this world. And God knows there's plenty of that around." Kara thought about the gloomy assessment her father's computer had made of the many social ills that plagued Earth's societies. "Your world is so different from where I come from," she said. "I know, dear," Sarah replied wistfully. "I wish we were all as smart and as good as the people you say you knew back in Argo City. But, for whatever the reason, 'taint like that here." She smiled. "But I like to think that that's why God sent us people like you and Clark. So that you could help us all to be better, and maybe one day help do away with all the fightin' and fussin' that we do." Kara went over and hugged Sarah. "You're a good person too, Sarah," Kara said. "You remind me a lot of my own mother." "Oh, 'shaw!" Sarah exclaimed, shrugging the compliment off. Kara went back to examining herself in the mirror. "There's one more thing we need to do," Sarah told her. "We need to think of a proper name for you. 'Kara Zor-El' won't go over very well around these parts." Sarah thought for a moment. "I've always liked the name Linda," she finally said. "And one of my old girlfriends in high school was named Lee. How about 'Linda Lee'? That has a nice ring to it!" Kara smiled. "I like it," she replied, nodding. "Linda Lee it is!" Clark was not able to visit Sarah and Kara that evening because of having to work overtime at the Planet. One of the stories he was assigned to cover was the wreckage of Kara's rocket that was in the process of being studied and removed from its crash site by the U.S. military. Through his participation Clark was able to reassure himself that there were no obvious indications as to where the rocket had come from, so Kara's secret was safe -- at least for the time being. But Clark wasn't at all sure as to what Kara's future on Earth was going to be like. Though it was absolutely wonderful to have the acquaintance of someone of his own race (and such a lovely someone at that), and to be able to find out from her more about where he had come from, he wasn't sure how Kara was going to fit into Earth's social environment, so different from that of Argo City and Krypton. He had grown up on Earth, and it was the only home he had ever really known. But Kara had not grown up on Earth -- and because of that fact she might find the adjustment to be somewhat harder. The next afternoon, when Sarah lay down for an afternoon nap, Kara decided that she wanted to visit Clark at his place of employment in the city. So saying, she took off for Metropolis, dressed in her Superman costume. Anticipating that she would need it once she landed in the big city, she carried her Linda Lee outfit in a small knapsack on her back under her cape. She had a fair idea of where the city was from having extensively studied Earth topography through her father's space telescope. Unfortunately, Kara was not familiar with Earth's air traffic control systems. En route to Metropolis her flying form was picked up on a number of radar screens as she headed for the city, causing numerous air traffic controllers to speculate that they were either having nightmares in broad daylight, or they had drunk too much caffeinated coffee that day. When she finally reached her destination, Kara landed in a secluded alley behind a tall building. Here she took out her Linda Lee clothes and put them on over her costume. She donned Sarah's wig also. She exited the alley and strolled down the street. She was amazed at how primitive the buildings were compared to those of Argo City. She was also amused by the strange clothing that Earth people wore. It all looked so bulky, ill-fitting, and uncomfortable. She turned a corner and headed down Main Street, hoping to locate the Daily Planet building there. She had only walked a short distance when she came upon a number of police cars that were parked helter-skelter in the street, blocking it to traffic. There were also wooden barricades across the sidewalk, preventing pedestrians from proceeding any further. A number of people were crowded around these barricades, obviously excited about something. From snatches of conversation that she was able to overhear, she gathered that the bank building ahead had just suffered a robbery attempt. A half-a-dozen armed robbers had entered the bank from a rear entrance and become trapped inside when the police responded to a silent alarm tripped by one of the clerks. The robbers had then taken the bank employees and customers hostage, threatening by telephone to police headquarters to shoot them if anyone entered the bank. Unknown to Kara Clark's friends, Jimmy Olsen and Lois Lane, were in the crowd, only a few short yards from where she now stood. Jimmy had his camera, hoping to get some good photos of what was going on. Lois, behind one of the police cars parked in the street, was standing next to Inspector Henderson, who was speaking with the robbers on his car phone. Kara stared at the side of the bank building, wishing she could see what was going on within. Suddenly, somehow, she was able to! Amazed, she watched as the hooded robbers held the bank people at bay inside the building with their weapons while one talked on a telephone, negotiating with Henderson outside. By concentrating, she found that she was even able to hear what they were talking about! The negotiations were not going well. Henderson was refusing to give the robbers free passage out of the city, and the hoods were getting more and more impatient with their situation. Kara noticed that one of the customers who was being held at gunpoint inside the bank was a young woman with a little girl. The woman was holding the little girl, trying to keep her calm, while the little girl was holding tight to a small doll in her arms. Kara was totally disgusted. How could anyone be heartless enough to hold such innocent people at gunpoint and threaten their very lives simply for monetary gain? It was something her people would never do, under any circumstances. That was all she could stand. She wasn't sure how Superman would feel about her revealing herself to Earth people so soon, but she decided she had to do something. For whatever reason, Superman himself was nowhere to be seen. She quickly retreated and dashed down another nearby alley. Once she was far enough back from the street and sure she was not being observed, she shed her outer clothes and wig and stood revealed in her costume. Looking upward, she bent her knees and leaped off the ground straight up into the air. She landed on the roof of the nearest building, which was about five stories tall. The roof of the bank building was about the same height, and was only a couple of buildings away. She began to run, leaping across the spaces between the buildings, until she found herself on the roof of the bank building. In the center of the roof was a small structure with a door which led inside the building. The door was locked, but Kara found that she was able to easily break the lock and enter. She went down the stairs within until she came to another locked door. She forced this one also, and found herself on the bank's top floor. From here she proceeded down the building's stairwell to the ground floor. In the bank's lobby, the robber who had been talking to Henderson on a desk phone slammed down the receiver, cutting off communication with him. "There -- let them think about that for a while!" the hooded man said. "Maybe that'll make 'em nervous, and make 'em reconsider our demands!" "But what if they don't, Mitch?" a second robber said. "How we gonna get outta here?" Just then a door at the back of the lobby opened, and Kara stepped into the room. All six of the robbers turned as one to stare at the intruder. All of them possessed wicked-looking machine guns. "Well, well -- what do we have here?" the robber who had been talking on the phone who was the group's obvious leader, said. A couple of the other hoods laughed. "Hey, I thought Halloween was over!" one of them said. The leader walked over to Kara. "Hi there, missy," he said, his voice dripping with condescension. "You're a pretty good lookin' little number. You wanta join our gang as my girlfriend?" he sneered. He raised his free hand as if to touch Kara's face. But before he could do so Kara took him by the wrist and twisted it downward to the side, forcing the hood to get down on his knees and grimace in pain. "Hey, Mitch, whatsa matter?" one of the other robbers laughed, thinking Mitch was play-acting. "She too tough for ya?" Mitch groaned, helpless in Kara's super-strong grip. With her other hand Kara removed the machine gun from his right hand. Now the other robbers were on instant alert. They all raised their weapons and pointed them directly at Kara. But instead of using the machine gun she had taken, Kara took it in both hands and bent it into an unworkable pretzel. "Get her!" Mitch yelled, still kneeling and holding his injured wrist. Two of the other hoods came forward and reached for Kara. She grabbed both of them by their arms and yanked on them. They both flew past her, crashing heavily into the desks and chairs that were behind her. Their machine guns fell and slid across the floor. Neither man got up. The three remaining hoods looked at each other. One of them, more cold-blooded than the other two, fired his machine gun at Kara, spraying her with bullets. The bullets flew in every direction, bouncing harmlessly off the costumed figure. Kara grabbed an overturned wooden chair near her and flung it at the robber. It hit him square in the chest, knocking him down. His machine gun flew out of his hands. At almost the same instant Kara charged forward and grabbed another one of the robbers by the front of his jacket. She turned and flung him bodily across the lobby. He soared through the air and landed heavily on a desk across the room. He then crashed to the floor, unconscious. Without hesitation she then turned and leaped toward the remaining hood. She used her fist on this one, punching him in the stomach and doubling him over. He dropped his weapon. Then she socked him on the jaw, and he flew backwards to land on the floor in a heap. The hostages all stared, dumbfounded by what they had just seen. Before any of them could say anything, Kara retreated to the door where she had first entered the room, and disappeared back through it. Outside, Superman landed on the street beside Inspector Henderson. "Thank goodness you're here!" Lois exclaimed. "Sorry I couldn't get here sooner, Inspector," Superman explained. "I was out of town, and just heard about the situation here over the radio." Just then the front doors of the bank opened, and the hostages came trooping out. "What in the Sam Hill is this?" Henderson exclaimed. "Are the robbers giving up?" Paramedics quickly surrounded the hostages, anxious to look them over for harm, while a number of police officers rushed into the bank building. One came out a moment later and came up to Inspector Henderson. "You're not gonna believe this, Inspector," the officer replied, " but the robbers are all disarmed and unconscious inside. The hostages are saying that a girl in a Superman costume rescued them!" Superman's eyes went wide. It can't be he thought to himself. She's with my mother in Kansas. 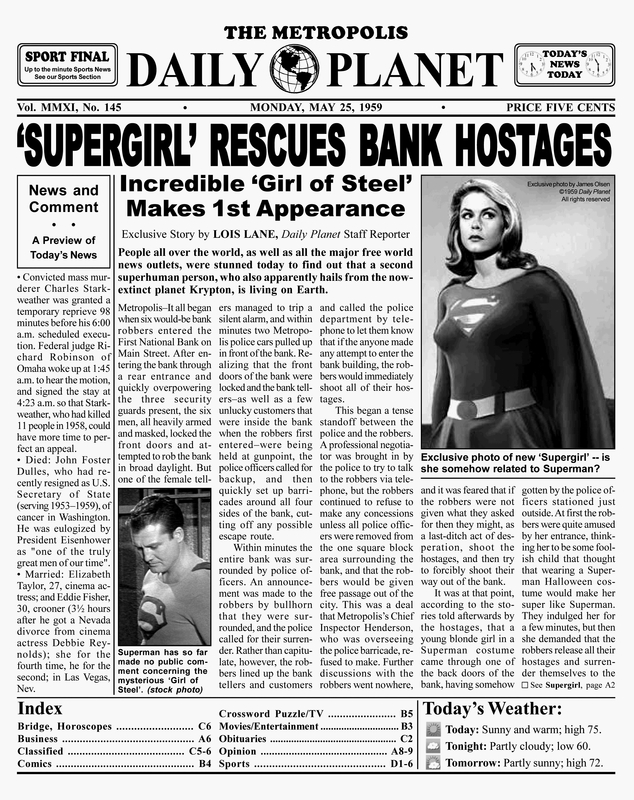 Newspaper and TV reporters, including Lois Lane, began surrounding the hostages, asking them what had happened. A few minutes later, Lois came back over to Superman. "The hostages are all saying a young girl with super powers dressed like you saved them," Lois said. "Do you know anything about that?" Superman gulped. "Uh, no, I don't," he said. "Excuse me." With that he leaped up into the air and was gone. Shortly thereafter Superman was back in his office at the Planet in his Clark Kent identity. But he wasn't working. His mind was whirling as he listened to various radio reports about the attempted bank robbery and the mysterious young woman whom the media were now all calling "Supergirl." His intercom buzzed. "Mr. Kent, there's a young woman named Linda Lee here to see you," came the voice of the receptionist in the Planet's lobby. An ironic smile crossed Kent's face. "Send her up," he said. Minutes later there was a timid knock at his office door. Linda/Kara came in, looking sheepish. She stood in the open doorway, as if afraid to come in any farther. "Well, close the door and sit down," Kent said, indicating the chair in front of his desk. Linda did as she was told. "Well, you've had quite a busy day, haven't you?" Kent began, a stern look on his face. Another report about "Supergirl" was even now coming over his radio. He reached over and turned it off. "I'm sorry," Linda apologized. "I know you didn't want me to reveal myself to the Earth people yet. But I couldn't just stand by and let those brutish men hurt those innocent people. And you were nowhere around." "I was out at the site where your rocket crashed, trying my best to keep the authorities from linking it with you. Or Krypton." Linda looked very unhappy. "Are you angry with me?" she asked. The stern look suddenly left Kent's face. He smiled. "Of course not, Kara," he said. "I know you were in a difficult position, and that you did what you thought was right. I certainly can't blame you for that. If I were in your place, I probably would have done the exact same thing." Kent stood up, and Linda virtually leaped out of her chair to come over and hug him. "Oh, I'm so glad you feel that way!" she told him, greatly relieved. "I was afraid you would never forgive me!" "Of course I forgive you," Kent said. "This might complicate things a little, but then again your being here couldn't remain a secret forever." Linda went back to her chair and sat down again. "So what do we do now?" she asked him. "A good question. Right now I think we need to both just keep our mouths shut and play dumb until the shock of this whole thing blows over a little." As Kent leaned back in his chair, he realized that things were going to be a whole lot different from now on.